Will Mexico finally extradite El Chapo to the U.S.? Will Mexico Now Finally Extradite El Chapo to the U.S.? 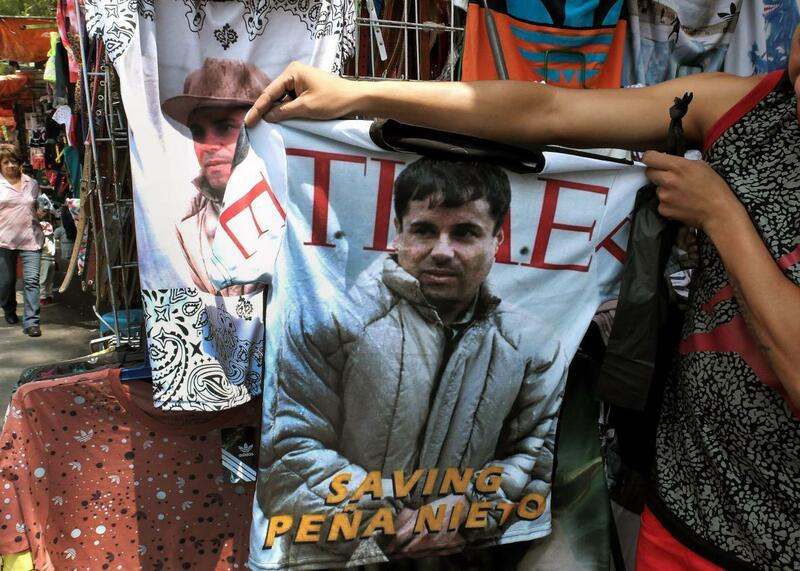 A vendor shows a T-shirt with the face of Joaquin “El Chapo” Guzmán Loera for sale in the popular and dangerous Tepito neighborhood in Mexico City on July 20, 2015. Drug kingpin Joaquín Guzmán Loera was recaptured Friday, according to a tweet from President Enrique Peña Nieto, but given that “El Chapo” has already escaped from prison twice, once in a laundry cart and once via a mile-long tunnel that took months to construct, there’s some understandable skepticism about just how long he’ll stay captured this time. After Guzmán’s escape last year, which almost certainly involved inside help, it was a lot harder for the Mexican government to be so cocky. Shortly after the escape, a Mexican judge issued an order for Guzmán to be extradited in the event he was recaptured, based on the previous U.S. request. But that order was temporarily suspended and then reversed by the court in October. President Peña Nieto could probably still issue an executive order to extradite Guzmán before he faces trial in Mexico, and given what happened last time, he may be under strong pressure from the U.S. to do so. The arrest comes at an awkward time in U.S.-Mexico relations. In October, the U.S. State Department cut some anti-drug funding to Mexico over human rights concerns, following heavy criticism over Peña Nieto’s handling of the disappearance of 43 students—a rare case of the U.S. criticizing Mexico’s handling of the drug war. Giving up a public enemy of El Chapo’s stature would be embarrassing for the Mexican government, but perhaps not as embarrassing as seeing him waltz out of jail a third time.